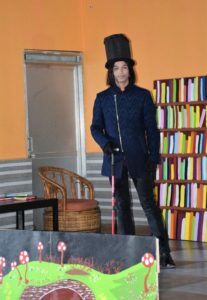 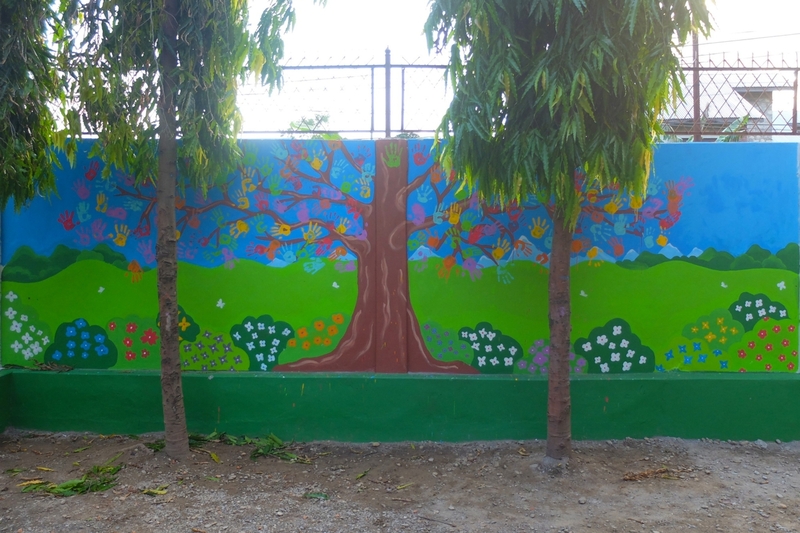 The third and last mural is finished, it completes the big project accomplished by Maëlle André (We Art One). 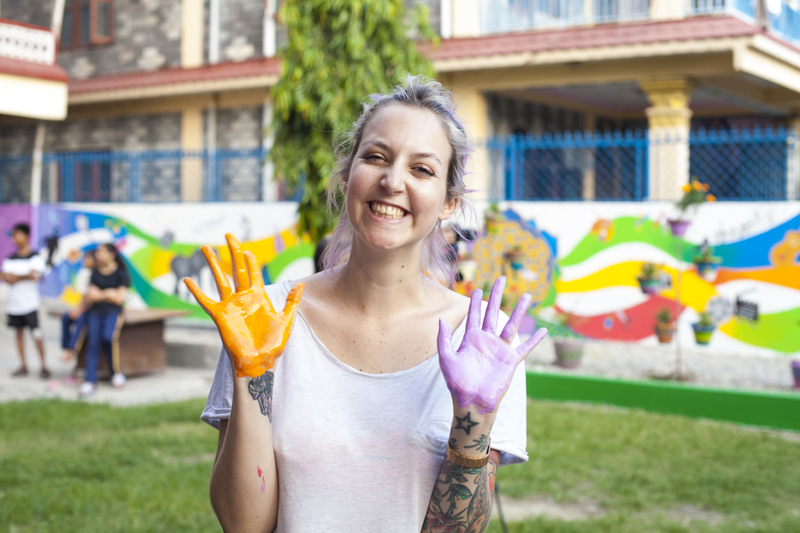 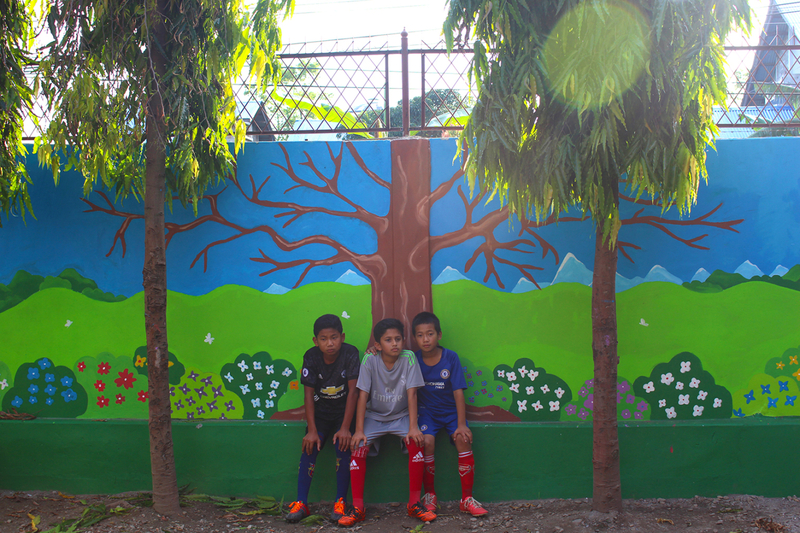 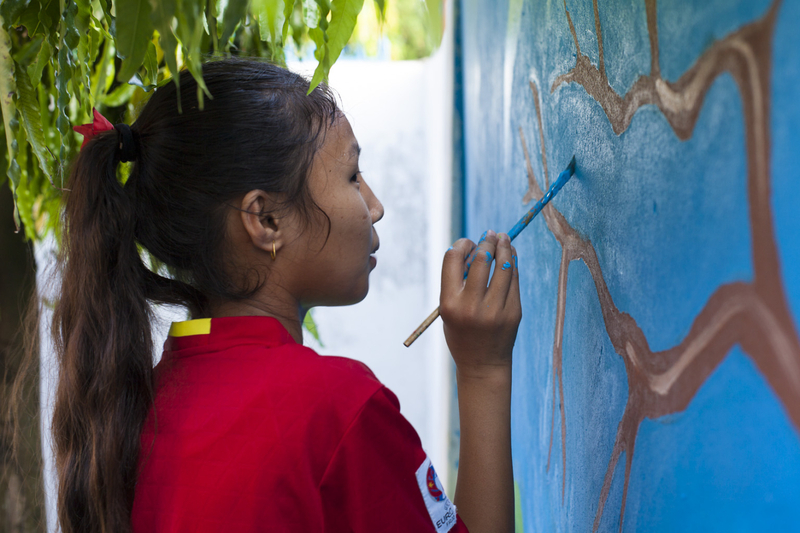 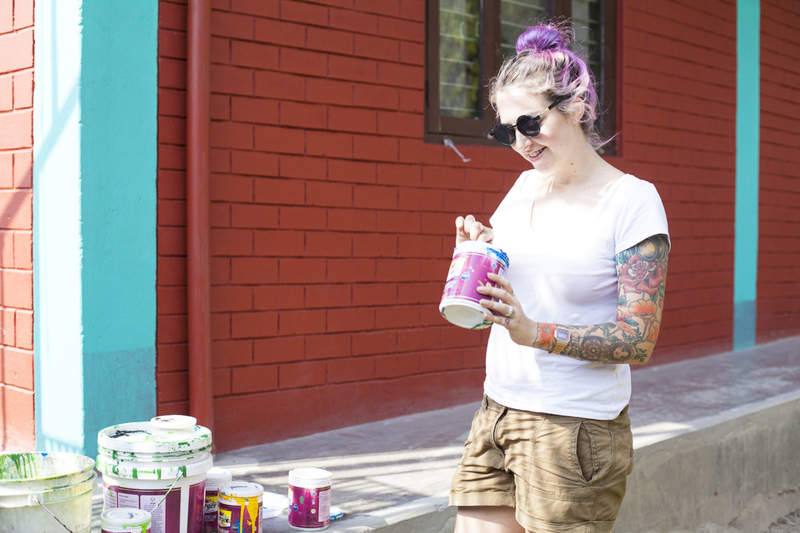 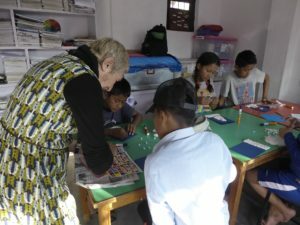 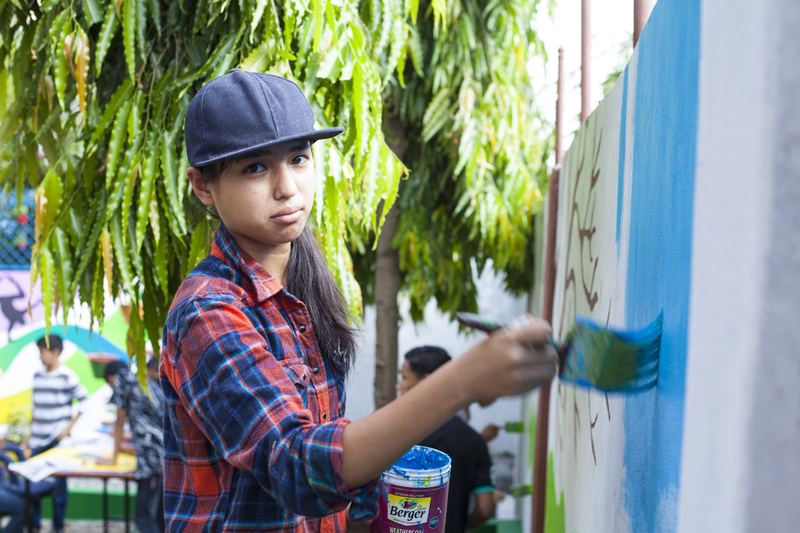 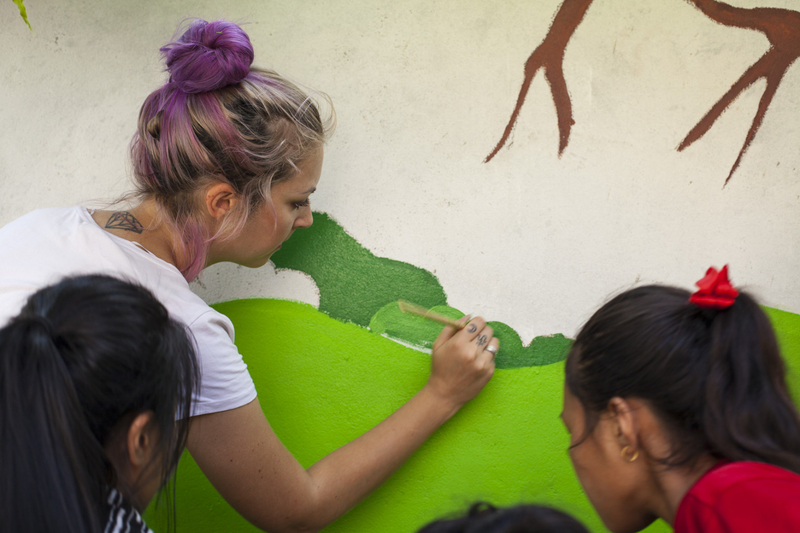 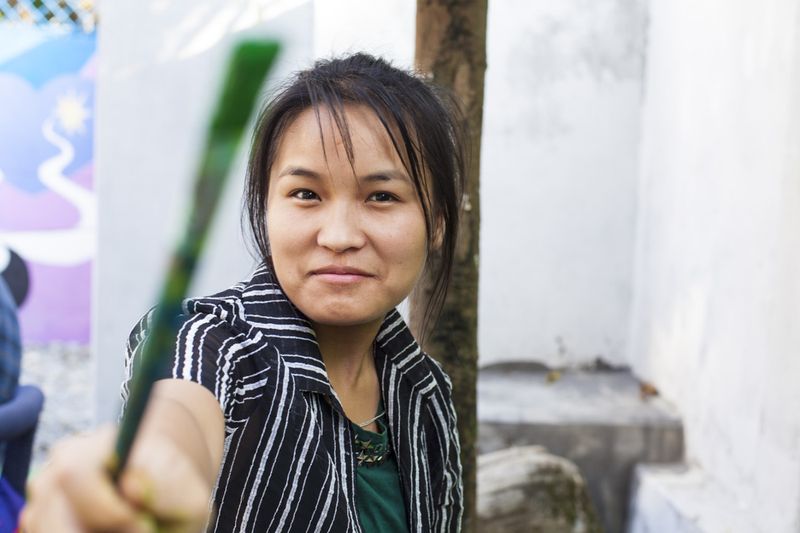 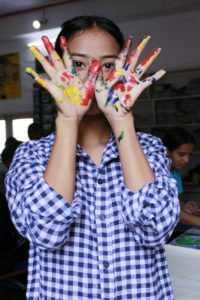 Started in April 2018, she created with the help of her mother Nanou and volunteers, 3 big murals in Shamrock…more than 95m2 were painted. 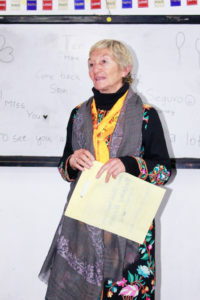 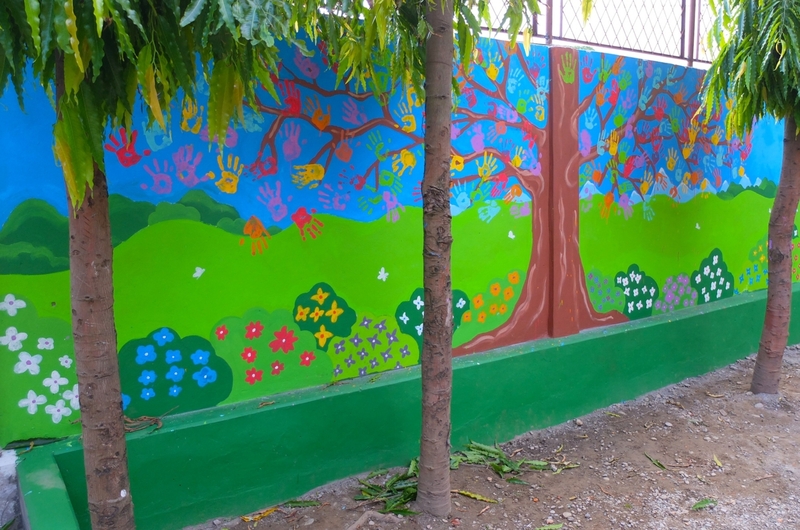 Thanks to the donors who contributed in this project, making it possible. 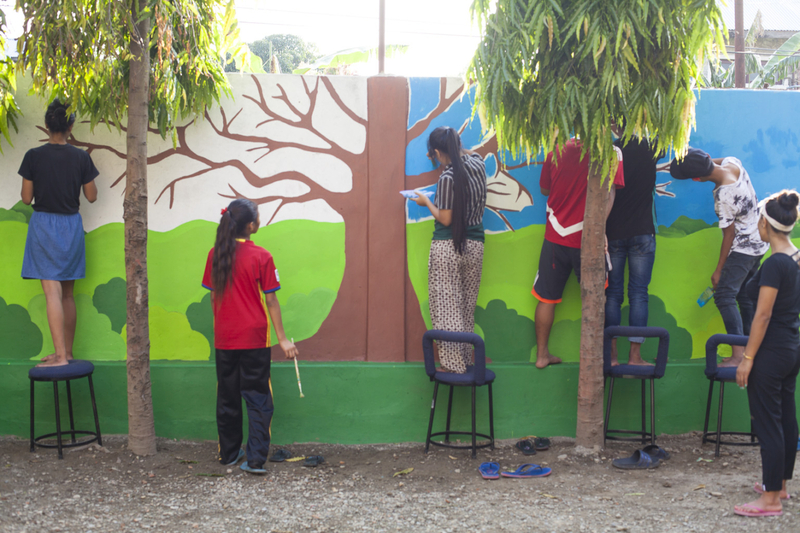 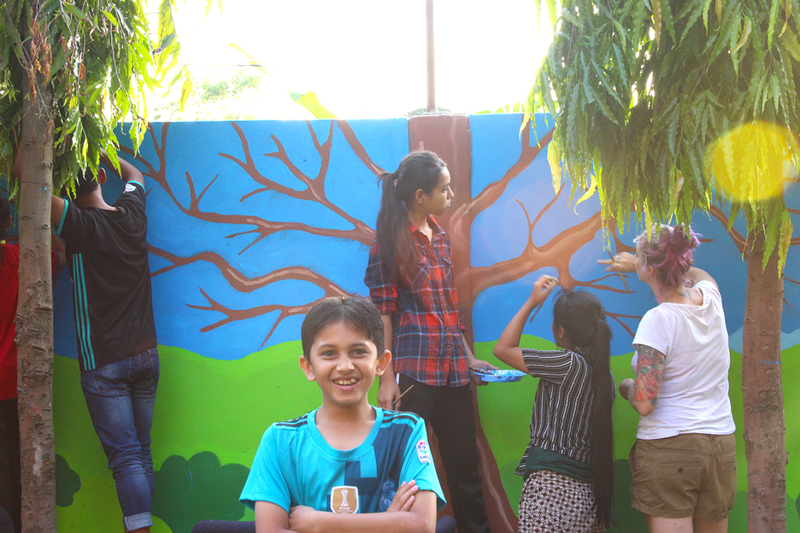 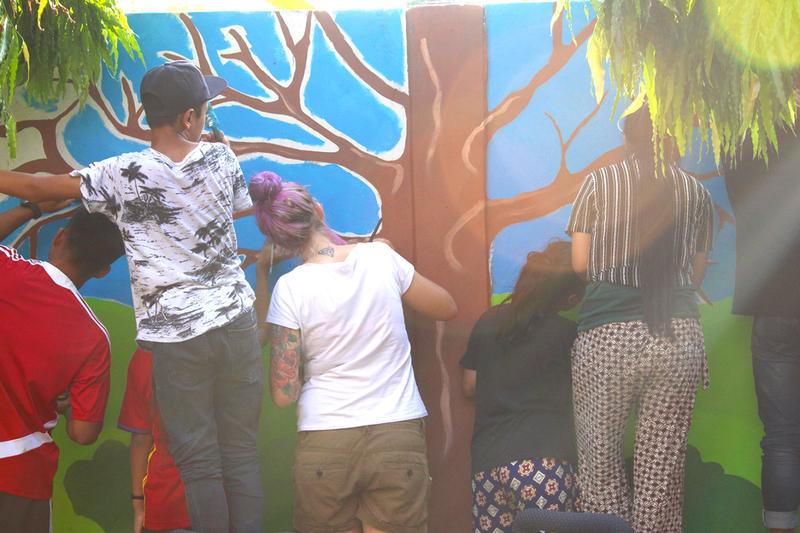 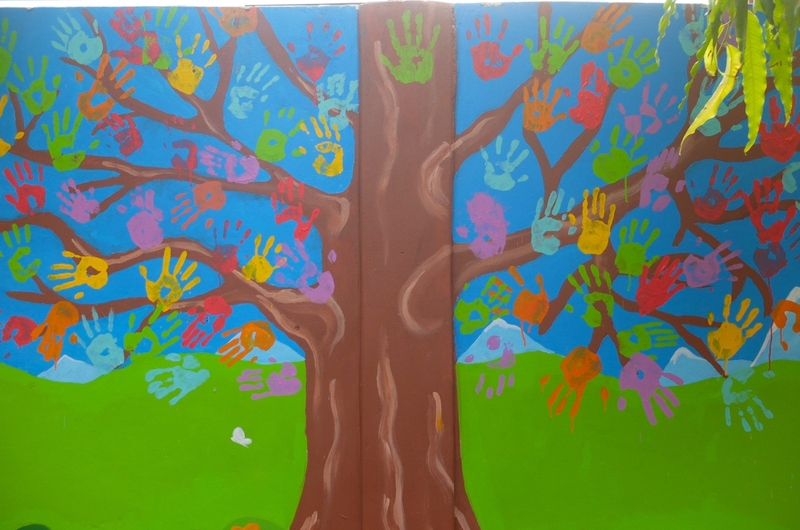 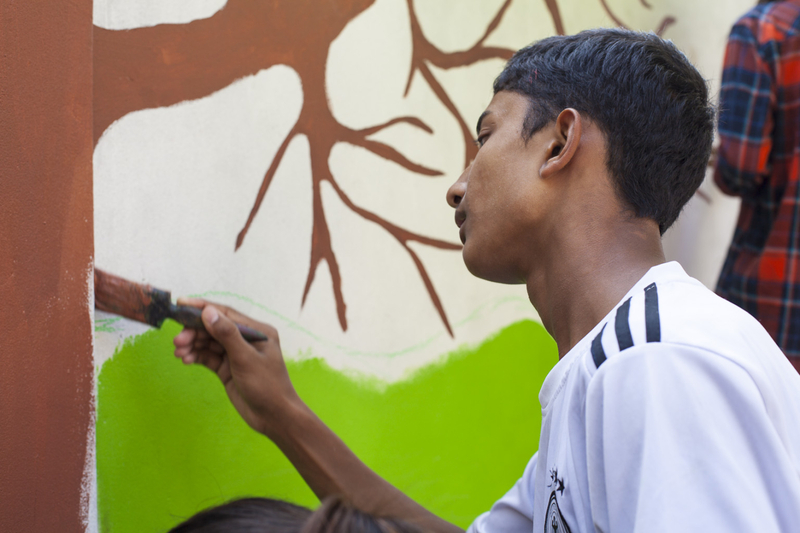 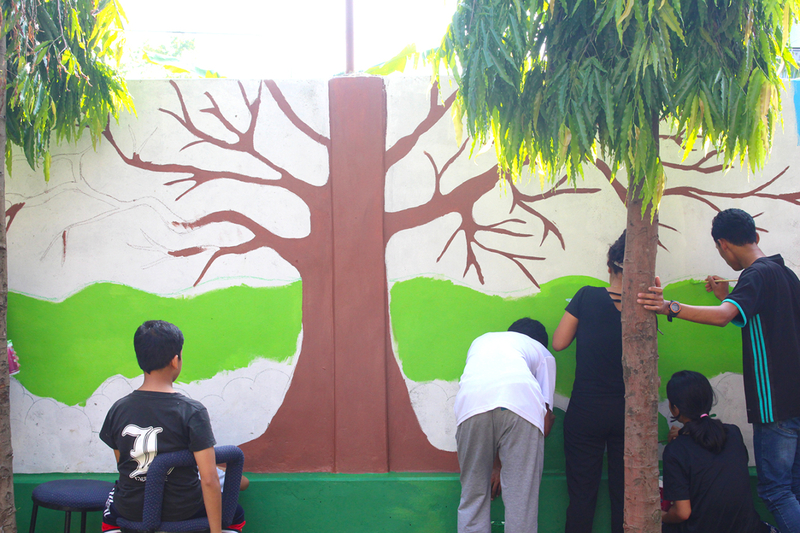 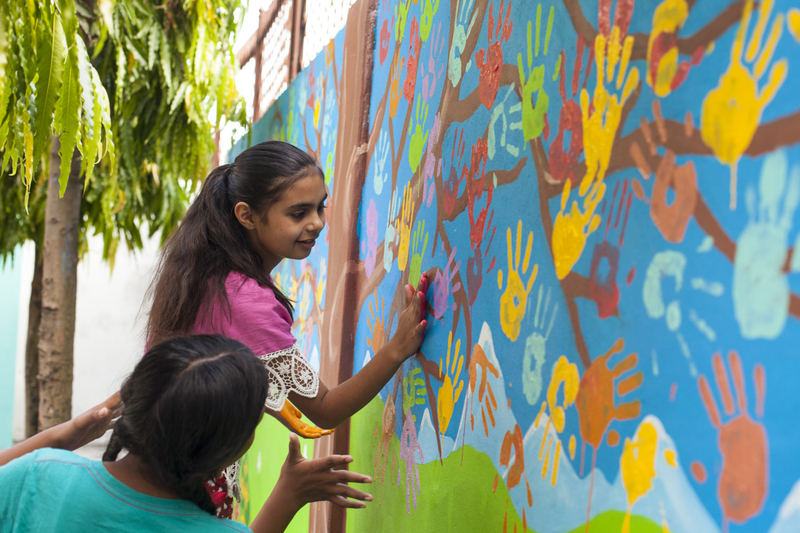 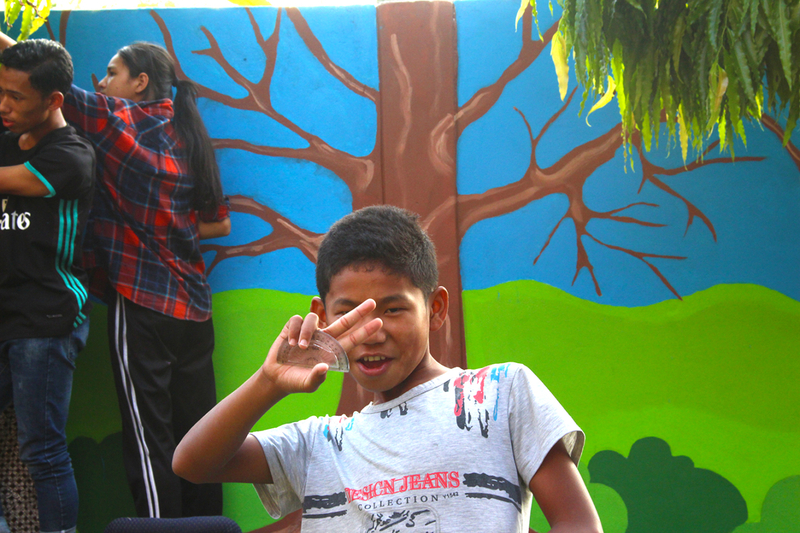 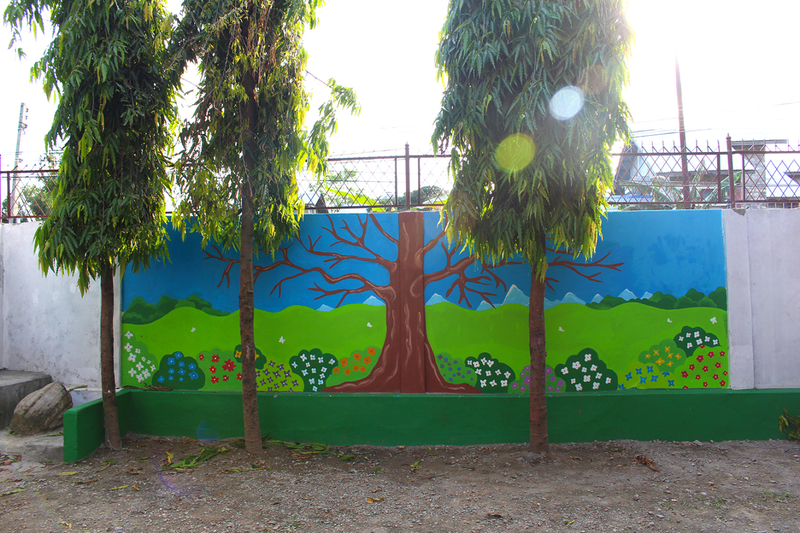 This last mural inside the school near the playground represents a big tree…the shamrock family tree… with the help of older students they painted the mural and at the end all the school got to paint their handprints all over the tree!